NYC is Blue: NY Times: "New York City F.C. to Play at Yankee Stadium for Three Years"
NY Times: "New York City F.C. to Play at Yankee Stadium for Three Years"
New York City F.C., a team that will enter Major League Soccer next year, will play its first three seasons at Yankee Stadium, according to two people familiar with the team’s plans. The team, which is jointly owned by the Yankees and Manchester City of the Premier League, is expected to make the announcement next week. The question of where the team would play its home games has hovered since it was announced last May that the club would join the league, delaying plans for everything from marketing and advertising to season ticket sales. The team has frequently promised a decision — it told the league in January that it would have a plan in 30 days — but has consistently missed even those self-imposed deadlines, to the frustration of M.L.S. officials and prospective fans. The Yankee Stadium solution is a temporary reprieve; the team must find a site for a permanent home and construct it, and the three-year commitment at Yankee Stadium could be a hint at how difficult that might be. After community opposition derailed plans for a stadium in Flushing Meadows-Corona Park last year, the Yankees turned their attention to a site near Yankee Stadium. In August, the Yankees’ president, Randy Levine, said the team was in negotiations for a nine-acre parcel between the Major Deegan Expressway and East 153rd Street that could accommodate a 25,000-to-30,000-seat stadium with connections to subways and rail lines. But the team has announced no progress since then, and with the 2015 season less a year away, the announcement of a temporary home will buy the club some time. 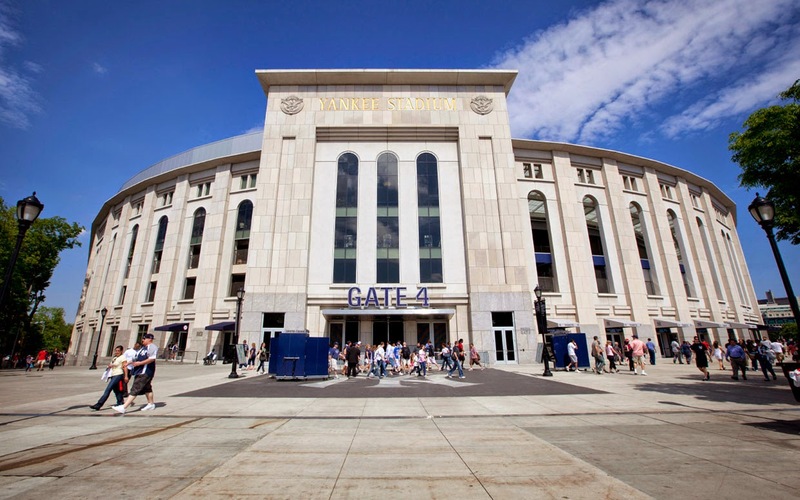 The practical considerations of the Yankees and New York City F.C. sharing the same stadium are unclear; M.L.S. and Major League Baseball play March-to-October schedules. When Manchester City and Chelsea played an exhibition at the Stadium in 2013, temporary grass was installed over the infield dirt for the soccer game. But that game was a single match played during an eight-game Yankees trip, not a full schedule — currently 34 games for M.L.S. teams — that would require repeated installation and removal of the grass, and result in far more wear and tear on the rest of the playing surface. A Yankees executive emphasized to reporters earlier this year that a potential shared space was not a concern, saying the Yankees “realized what we were getting into” when they went into their M.L.S. partnership with Manchester City. At an event in February to announce a summer exhibition game between Manchester City and Liverpool, Mark Holtzman, the Yankees’ executive director of nonbaseball events, said the team generally required several days to prepare for events and then several more to repair the playing surface for baseball. But he also noted that since its opening in 2009, the stadium has hosted soccer games as well as a schedule of summer concerts.